Nowadays people think that a single pill or a facial can bring back their beauty without understanding that natural radiance requires something more than this. In fact, there is no portion or pill that you can consume to make yourself look appealing. DJI Ayurveda understands this and that is why it offers you an amazing skin care package that gives a loving touch to your skin and makes it glow from inside. Whether you want to have a wrinkle-free or blemishless skin then you need to opt for our Ayurvedic Skincare package, which will surprise you by boosting the antioxidants in your skin and making it really ravishing. Why the DJI Skin Care Package is the best? Free radicals are the major threat to your skin cells and the exposure of sun, dust, unhealthy foods and lifestyle only worsen your skin tone and texture. You cannot think that buying a face cream, moisturizer or any other such products can improve your health and your skin. That is why you are advised to select our beauty and skin care Ayurvedic package. Here are the top reasons that make our skin package unique. The skin care package available at DJI Ayurveda includes usage of high-quality Ayurvedic products which are tested and are rich in herbs. These are made of natural ingredients that can improve your skin in a natural way. 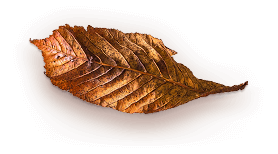 The package for Ayurvedic skin care available here is not very costly and is cost-effective in a real sense. It is hard to find such packages at any other place as we do not compromise with the quality. 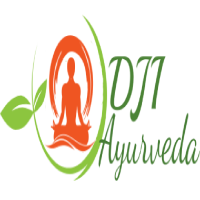 The Ayurvedic doctors at DJI Ayurveda are specialized in skin care and are specialized in analyzing your dosha and skin type so that you never face problem in the future. Therefore, contact us and let us help you make your skin beautiful and glowing.